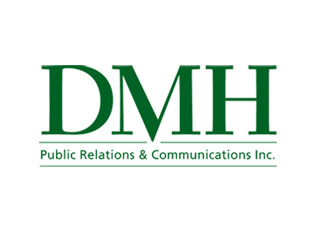 At DMH, we offer sales assistance from sales training and learning the general principles of the sales process, sales generation, lead generation, setting sales goals and targets, to outsourced territory and account management at retail, wholesale and corporate banner accounts on a regional or national level. Need help launching a new product, or opening up a new distribution channel? New distribution channels and product launches are challenging and time sensitive. Putting pressure on your sales team to launch your new product without experience and knowledge of the ins and outs of the Consumer Packaged Goods (CPG) / Fast Moving Consumer Goods (FMCG) industry will hinder your efforts. With our experience and established network, we can leverage our customer relations and industry contacts to open doors, start a dialogue, and navigate you through the industry processes, protocols, and barriers. We’ll also connect you directly with industry stakeholders and key account managers at the retail, banner, and national wholesale levels. Working with a multinational CPG company to free up capital and remove stock that was taking up valuable space and increasing storage fees, we were able to liquidate 75% of the inventory; freeing up over $25,000 in capital for the company. Looking to explore or expand into seasonal markets? Expansion into a seasonal market requires specialized knowledge of the market place and geographic location. Sending even a seasoned sales representative into an unknown territory without the proper tools and messaging usually is a complete waste of resources. Seasonal markets are only hot for a few months. Training staff and allocating in-house sales resources delays efforts and reduces your ability to capitalize on the market while it’s booming. Our knowledge of the distinguishing factors and elements that make each distinct seasonal market and geographic location tick will help you to enter a seasonal market and then keep your brand presence by engaging local partners, adjusting expectations, and managing sales pricing, promotion and inventory while it’s thriving and diverse and when it tapers off. While working with an international company in the (CPG) industry operating in a seasonal market in the geographic location of Wasaga Beach without great success in the off peak season, we were able to overcome the barriers to their growth in the area by identifying a flaw in their sales call structure and issue with their product packaging. We then developed sales strategies to increase their representation in the area year round and that resulted in an increase in annual sales by 9% consecutively. We also improved their off season distribution by 65% by adjusting product packaging. Not ready for the ongoing costs and commitments of a full or part-time sales employee but need specialized expertise to increase your sales, generate sales leads, and boost your product visibility? Outsource your sales to a professional sales representative at DMH in the short term until you are ready to hire, or long-term if you want to continue to focus on managing your core business operations. Hired by a business in the construction industry in Simcoe County to generate leads, perform sales calls, and hit the ground selling construction contracts, we were able to increase sales by 63%, produce a list of qualified solid leads, and raise brand awareness and recognition by 76% in less than 8 months; leaving our client to focus on performing the actual work, managing the business, freeing them up to interact with their customers, follow up to ensure payment on serviced rendered. Need a sales strategy, promotion, or campaign? Let us review your sales process and develop sales strategies, sales incentives, and core sales process that you can hit the ground running with. We also provide on-site sales training and individual coaching. Our performance has resulted in the following results for our clients. Let DMH generate your sales and distribution leads. From cold calling to providing, you with a database of potential clients for your team to follow up we can generate sales leads, create partnerships, and accelerate your economic growth in a manner that will seem effortless.